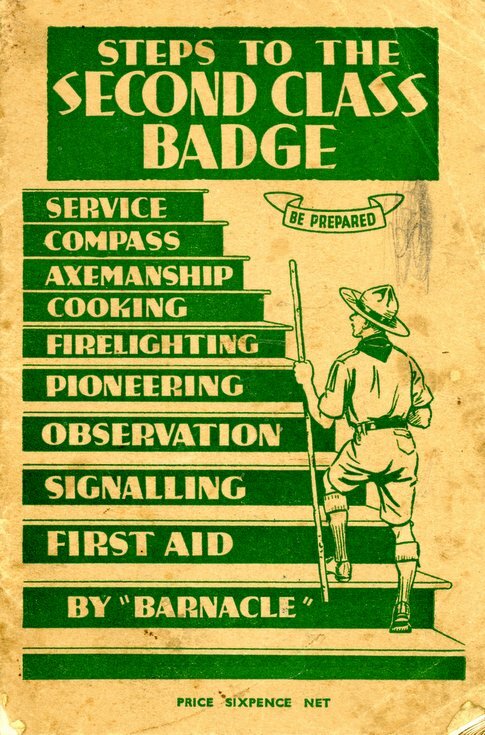 April 1941 Boy Scouts booklet 'Steps to the Second Class Badge. In 10 short chapters, amounting to 47 pages, the booklet provides details on all skills and service required to qualify for the second class badge. Printed in Great Britain by Wyman and Sons Ltd London, Fakenham and Reading and part of the Gilcraft Series published by C, Arthur Pearson Ltd, Tower House, Southampton Street, London, W. C. 2.